Thread: Can anyone help me I.D. I’ve grown this plant from seed only one of the 50 seeds actually sprouted the seeds were sold to me as jamban but I doubt it is can anyone help me I.D. This seedling. To me it’s a viking or mirabilis var globosa. More likely to be a raff or raff hybrid. That's a common species that's used as filler when people buy seed packs from abroad. Rare and desirable species seed are often not genuine. This is why it is not a good idea to buy seed from these people claiming to be collecting them in SEA. Either the seed are genuine and you're supporting poaching or they're a fake and you've been ripped off. I'm 90% sure that's N. mirabilis var. globosa. Definitely NOT N. jamban. Odds are that its a variant of N. mirabilis, as others have suggested. 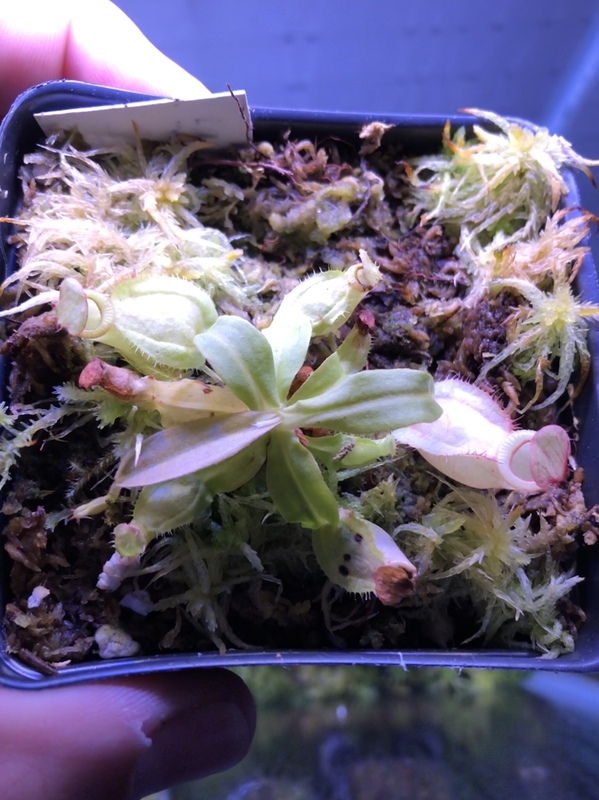 Seeds bought from eBay rarely come true to stated species. These sellers are generally a very unscrupulous bunch. Most buyers end up with common species like mirabilis or maxima. 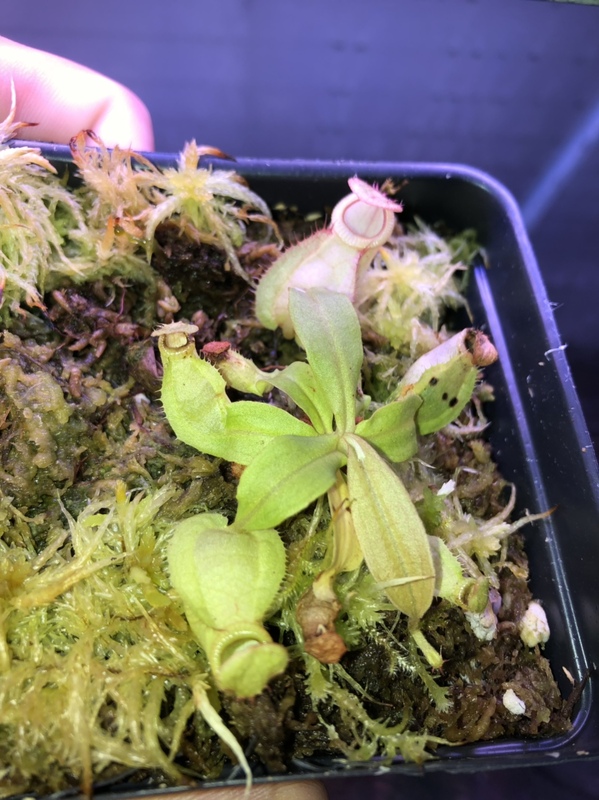 The purchase was made when the seedling had already sprouted and was in the same humididome with 12 slots every slot had 1 or 2 seedlings , all were verified to be what they were labeled as but this one . diatas , talangensis, tenius ,and Heliamphoras all match up but this want to be jamban . I just can’t rap my head around how it’s growing so vigorously in a highland climate. But it possibly be crossed with a highland species makes sense. Thank you all for the input! Much appreciated. I’m no expert but that looks an awful lot like a N. Mirabilis var. 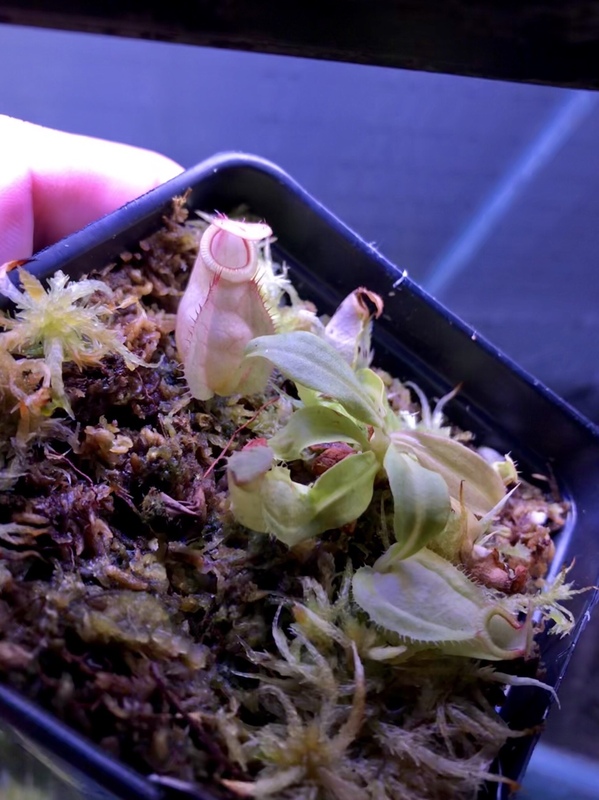 globosa x N. Hamata. It's probably not. Globosa x rafflesiana perhaps (not likely pure globosa otherwise the characteristic mirabilis fringing would be visible on the leaves), but I don't see any hamata traits.